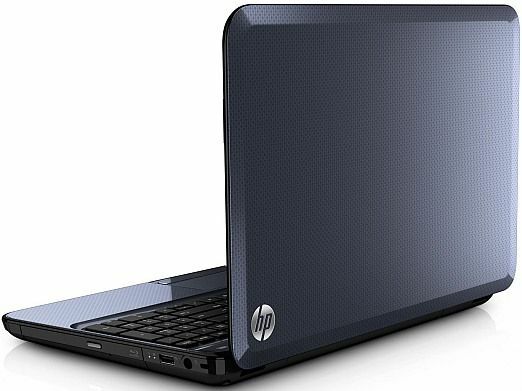 The HP Pavilion G6 is a very good option for a price of under Rs. 40,000, out-performing some of its more expensive rivals. It ticks all the right boxes ï¿½ decent specs, pretty powerful graphics and to top it off, good battery life. On a budget, this is one combination that impresses. The rather unfortunate part with budget laptops it that they almost always feel “budget” too. Happily though, the HP Pavilion G6 does seem to be changing the trend. A couple of things are very clear right from the moment the HP Pavilion G6 comes out of the box. First, is that it is big. There is no getting away from the fact that anyone who is going to be carry the laptop around often, is not going to buy this. The 15.6-inch display is the biggest factor for this, but then again, this isn’t appealing to anyone who wants a slim light machine. The second is the build quality of the HP Pavilion G6. It is much better than expected, and unlike some brands that make laptops glossy to give them an upmarket look, HP has taken solace in the enamel finish. And it looks very good, without being maintenance hungry like the fingerprint attracting shiny finishes. While the material used throughout on the HP Pavilion G6 is plastic, it does not have the typical “cheap” build quality and materials that we have unfortunately come to expect with budget laptops, mostly because of the way the trend has been set. It does not feel plasticky, and certainly wouldn’t remind you about how much you paid for it. We particularly like the enamel finish given to the colour - crimson red in the case of our review unit. This does two things well – retains some element of shine without going overboard, and yet isn’t maintenance hungry as the glossy stuff some laptops have. The top of the HP Pavilion G6’s lid has a tinge of metallic colour in it, while the area around the keyboard, including the enormous palmrest has an imprint. The usual gamut of ports is on the left and right spines, and the conventional design of no ports behind the display is very much appreciated. Laptop manufacturers, off late, have been dabbling with the idea of some ports behind the display, something that seemed to have gone out of fashion in the early 2000s! Since the HP Pavilion G6 has a 15.6-inch display, there is a lot of real estate afforded for the keyboard and the touchpad. Generously, this one gets a well spaced out keypad, with a dedicated number pad. The touchpad is adequately big for multi-touch gestures to work without your fingers hitting the edges. Overall, the HP Pavilion G6 feels much more expensive than it is, and that probably says everything there needs to said about this laptop. You will not be reminded that this is a budget laptop that you use! Well, being a budget laptop, there were bound to be some cutbacks in terms of what is on offer. Happily though, the Pavilion G6 doesn’t have too many of them on the power package front. The only little hiccup that we can foresee in the long run is the Intel Core i3 processor. The one here is the dual core 2350M clocking at 2.3GHz, with 4GB of RAM to help it along. We will talk more about how good this is, in the performance section. Graphics capability is where the Pavilion G6 really surprises, at least on the spec sheet, with the AMD Radeon HD 7670M (2GB). This is the same graphics chip that we have seen earlier on the more expensive Sony Vaio E-series and the Toshiba Satellite L850 that we had tested sometime back. Technically, the one in this laptop is the older Thames-Pro series with the DDR3 memory. There is a faster version in the market, codenamed Thames-XT, for the higher-end laptops. However, even this older gen graphics chip is more than capable. The HP Pavilion G6’s 15.6-inch display has a resolution of 1366 x 768 pixels, and we believe this is doing very well on most fronts. Natively, it has a good amount of brightness to work its way forward from a solid base. Colour reproduction is very good, and surprisingly, there is no visible gradation. However, contrast doesn’t have the necessary punch you would expect on a display that may be used quite a bit for watching movies on. Decent amount of crispness makes readability easy, but if you look very closely, there is a very limited amount of noise around the individual alphabets. Thanks to the big display size, the HP Pavilion G6’s keyboard does have a lot of real estate to work with as well. The separate number pad does indicate the spread on offer! No quick access keys, but HP smartly uses the function keys by setting them up by default for tasks like brightness change, volume control, Wi-Fi on/off etc. The yey size is good, and the travel is enough to ensure you get used to this rather quickly. The only thing you need to get used to - the left alignment of the alphabet keys, because of the number keys on the right side. 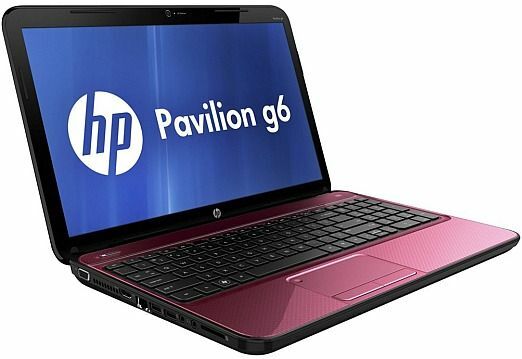 The Pavilion G6 comes with a 500GB hard drive, and Windows 7 preloaded. HP does preload the machine with certain utilities, but the clutter is definitely lesser than what we saw on the previous generation notebooks. We particularly like the software update utility within the larger Support Assistant app. While this is technically a Core i3 processor, it is by no means a slouch. The performance is very close to the much more expensive Toshiba Satellite L850, and on our benchmark test score sheet, there was just .1 of a difference between the two, with the Pavilion G6 ahead! While we aren’t comparing between the two because the two play in very different price brackets, the fact that the G6 is so close to a laptop more expensive shows that there is no cost cutting in terms of the power package. The PC Mark Vantage benchmark score of 6247 indicates that the Core i3 will not be as sluggish as we had expected it to be. The real life usage performance of the HP Pavilion G6 is rather smooth, and will handle a bit of multi-tasking as well with some ease. However, there will be limitations post a certain level, and you should be ready for that. However, what you surely weren’t ready for is the excellent performance in terms of the gaming capabilities. With the AMD Radeon HD7670M, the HP Pavilion G6 performs at a level that is a couple of notches higher than the trend in this price bracket. Scores 25.8fps in the Unigene benchmark, only bettered by the infinitely more expensive Dell Inspiron 14R Special Edition’s GeForce GT640M. Verified by the CineBench OpenGL score of 32.76fps. Essentially, you can use the G6 for more than a bit of gaming, to say the least. After a level, the only bottleneck will be the limitation of the processor. The HP Pavilion G6’s battery life is surprisingly good. In our battery test, the G6 lasted a bit more than 2 hours. Essentially, in a real world scenario, you will get around 3.5 hours of battery backup, and a bit more if you are careful with the settings. For a price of under Rs. 40,000, the HP Pavilion G6 is one of the better machines that you can consider. Yes, it is still on the older Sandy Bridge hardware, but in terms of price vs. performance, we can’t hold that against the G6. Anybody know which is better Sony VAIO Fit 15E or HP Pavilion G6-2227tu ?